Note: This is not a “critical” review of Faith in a traditional sense. This piece does not include constructive criticisms of the acting, directing, or writing because a) I’m a subjective viewer, not an experienced drama critic; and b) I’m not interested in pointing at what could have been, should have been, or would have been on a story that I find deeply thought-provoking. This writing is a reflection on a story that resonates with me. So here it is, Faith as seen from this viewer’s perspective. Summarizing Faith in a few words is a challenge for me. Nonetheless, I’ll try! In short, Faith is an incomplete dramatized history of Goryeo to be viewed and felt through a contemporary lens. For twenty four episodes, I was placed figuratively on a time-travel expedition with Eun-soo to 14th century Korea, except in the end I did not get my own Choi Young (sobs!). Faith presents itself as a dichotomy between history and modernity. The story is set in the period of Gongmin’s Goryeo and yet, its characters’ mannerism and dialogue strangely feel contemporary. Using time-travel as a thread linking these relationships, we see how these characters evolve as they deal with their internal feelings and external conflicts. Embedded in these conflict machinations is a philosophical question – can a person sustain and maintain loyalty and allegiance in perpetuity? Through this fictional world, I witness a sweeping journey taken by the protagonists- Choi Young, Eun-soo, Gongmin, and Noguk- as they struggle to discover their purposeful existence in this world. Initially, four strangers meet at a crossroads – one is a warrior in need of an awakening, one is a person living life measured by materialism, one is a newly anointed leader who feels insecure and inadequate, and one is a non-native yearning for love to be reciprocated by her beloved. Through plot devices used, we see how these strangers interact and become closer to each other. Ultimately, what binds them together is their honest reliance on each other to co-exist. Choi Young needs Eun-soo to live and vice versa. Gongmin needs Choi Young to help him lead, while Choi Young needs an anchor in his life, and that purpose is to serve his king. Noguk and Gongmin are inseparable. Their mutual dependency is tied by the abstract ideas of love, faith, and a strong conviction and dedication to make each other better. On paper, these ideas sound superficial, but on screen they are portrayed so organically, making viewers believe that these abstract ideas are genuine. The characters experience these feelings in the same way that we feel them. It should be noted that the relationship developed by Ki Chul and his pledged siblings also mirrors that of the protagonists’. This is the main reason I can’t fully hate Ki Chul or his siblings because their actions are not despicable for the sake of creating conflicts. Theirs are tied by a complete loyalty and trust in each other. Though I may strongly disagree with Ki Chul and his minion’s belief, I do recognize the strong bond between his pledged siblings. Then, there is time-travel explored from an intellectual standpoint. In the case of Faith, time-travel is an all-encompassing concept. At a plot level, time-travel is used to transport a person from point A to B and in reverse. At a thematic level, time-travel is a reflection on the meaning of possession and allegiance throughout time. The question of whether history is altered or preserved is posed throughout Faith, and there is always this play on perceptions which I find very interesting. 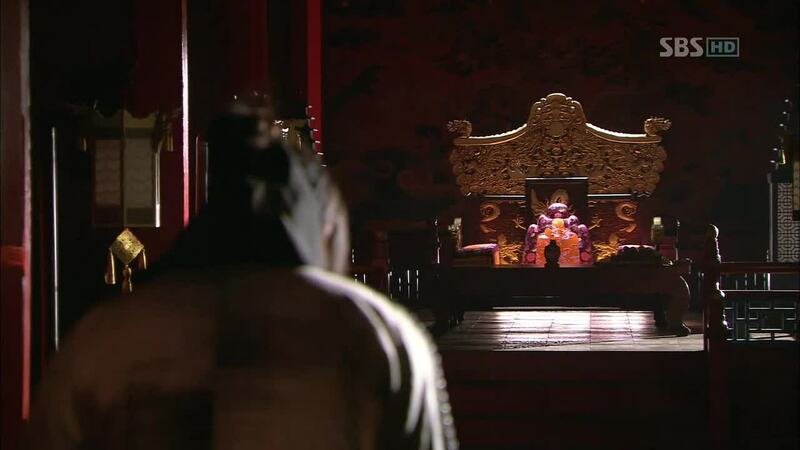 I can piece together a simple history of Goryeo – Yuan is its imperial overlord; Goryeo is in constant internal turmoil due to state mismanagement and neglect. 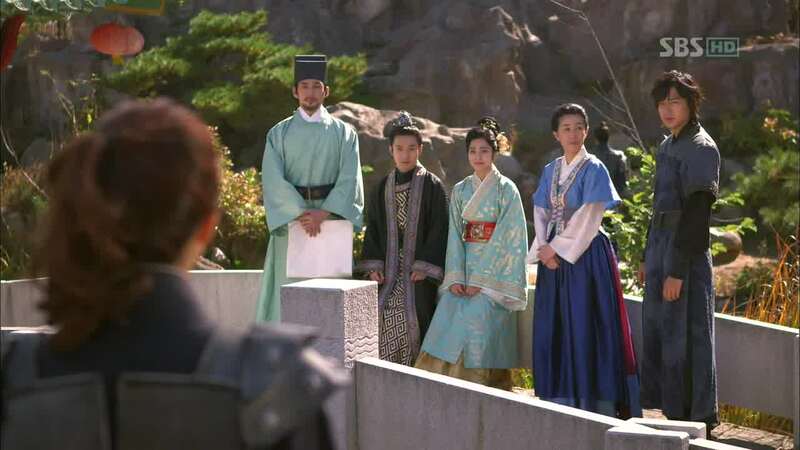 We see a “son-in-law” seal bequeathed to Gongmin as a literal reinforcement on a “possession” of this “homeland.” Interestingly, the inhabitants of this land are not like-minded as seen through the characterization of Choi Young, Eun-soo, Gongmin, Ki Chul, Noguk, Prince Deok Heung, and Son Yoo. They represent different views on nationalism, politics, and society. On one extreme, there is Gongmin – the symbol of a nation. 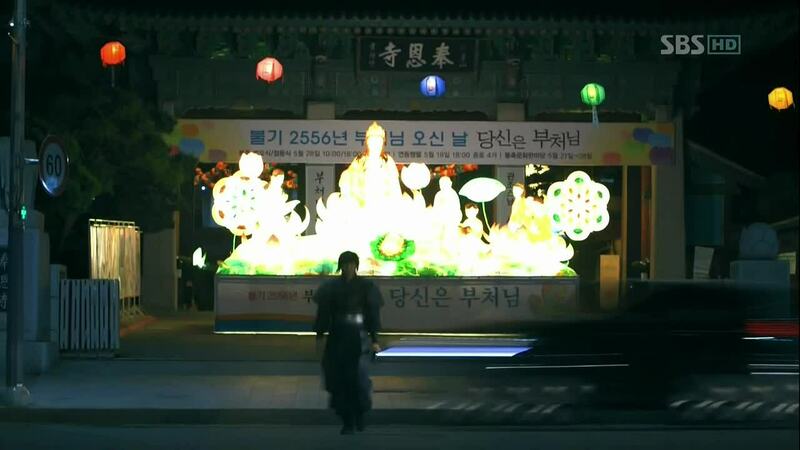 Choi Young, Eun-soo, and Noguk are somewhere in the middle representing a sympathetic view towards the homeland. However, their everyday activities are not solely dictated by the need to protect elusive national interests. Theirs are born simply out of love; an interest to safeguard their family. Then there are Ki Chul, Deok Heung, and Son Yoo who symbolize the types of people who lack allegiance. The border, the homeland, history, time-travel, allegiance, possession, citizens, and just leader — are these purely name drops or does the writer want us to think of these at a cerebral level? Time-travel in this case is not merely used as a conflict device; it is presented as a moral story in itself. Do various names of homeland matter overtime? And what should we make of these ideas called patriotism, allegiance, and loyalty? One’s answer should come from within the experienced self; not through manufactured external influence. In reality, there are two kinds of historical novels. In the first kind, the novel returns you to history, with all its details, its rituals, as if it grasped life in that historical past, or reanimates movement in its lifeless limbs. The other kind evokes the historical ambiance only, then gives itself relatively free power within its outlines. My writing is close to the second kind. To get the most of the story, a viewer must see a piece of Faith as much more than a historical reference; one should recognize that this particular fiction could also serve as the grounding for the world in which we live. The plot may seem repetitive, but everything is written to create layers and complexities. In Faith, I see the growth of a warrior who rediscovers his purpose in life, a modern doctor who is at last willing to open her heart, a leader who overcomes insecurity, a queen who is fearless and willing to stand by her husband in an unfamiliar land, and a viewer who gets the message that sometimes we need a little bit of faith in ourselves. For the duration of this journey, I see myself as a third person narrator sympathizing with these characters. But I metaphorically recount this story from a contemporary standpoint – a view on human relationships shaped by equality and less about class hierarchy; an outlook on politics shaped by democratic theory; a perception on social plagues, such as greed, shaped by human desire and selfishness; and a perspective on the intangibles, like love and faith shaped by choice, destiny, and fate. Yet, after twenty four episodes, I’m left with a sense of incompleteness because in my mind their story continues; the characters we come to adore live on after the final credits. Elliot Colla, Conflicted Antiquities: Egyptology, Egyptomania, Egyptian Modernity, Durham: Duke University Press, 2007, p. 241. Thank you SH for this wonderful and thought provoking review 🙂 I might translate it into German for my parents to read before they start on watching Faith (still working on German subs). I’ve never felt this strongly about a Korean drama. This show just makes me think way too much. What a profound review this is from an ordinary viewer’s perspective…teeheehee :P. It feels like I’ve just read an article written from one of my philosophical professor at Pepperdine. Your review makes the invisible visible to me, especially in regards to the concept of ‘Faith’ used as the title in this drama. Your article is also a great antidote for my emotional confusion in some respect like the whole time travel aspect. If your article plus comments (again on time travel) you posted in one of Joonni’s earlier post was available during the time I was watching Faith, it would have been a light of beacon for me who struggled in the darkness on this one till the very end. Excuse me for my manners. ***Bowing and bear hugging SH*** Welcome! Thank you! Me too; it’s really hard letting this show go. A beautiful and thoughtful review indeed..
“Faith” as a drama for me is like a book with its pages lost or incomplete.. It started with the medical and political front as the outlook but ended as this sweeping saga of love that filled my head and heart. The story by itself had huge gaping and unexplained holes.I agree wanted explanation to each and every thing in a drama is difficult but still the holes are quite wide.. 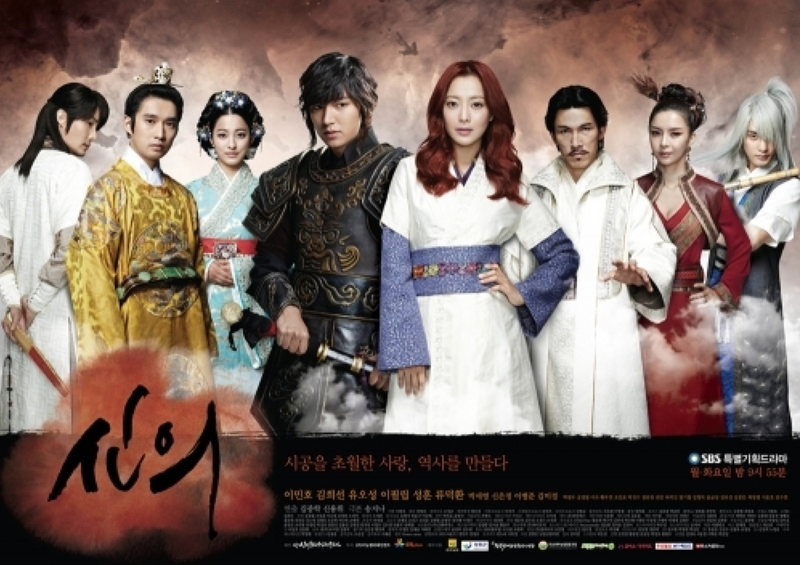 It was a fun ride with both the hero and the heroines taking charge when they were needed to..
i wish they gave at least a decided and conclusive sort of ending for all the 4 leads.I was disappointed with the way the Royal OTP were shown the exit..
maybe i am wanting too much, but i had such expectations with “Faith”. It had all the perfect things to be this ever remembered classic but fell short of it by a few major steps..
One thing about the drama that I really really liked, that no matter what there was a positive follow up approach to many things. Yes the mess was repetitive and yes the troubles to, but the echo of the title was throughout the series..
the “Faith” ringed at many decisive moments. Also when the going went serious, the humor and cute came next giving the moment of calm till the next storm.. Thanks for the wonderful recaps Joonni and alson this wonderous review and insight on time-travel SH. and welcoming you along with ure Gukja unni! Indeed has become one of my philosophy in living life. “Knowing what is right is not enough. It rings with Eun soo’s decision to stay and also the trust and Faith the characters had in this drama..
Hopefully, the novel will be published in English to further our addiction. Thanks much, SH, for this piece. Whatever happened to the TV ratings is nothing compared to its redeeming value. Faith has touched each viewer, in ways more ethereal than any fleeting drama thrills or frills. Faith has superimposed the virtue of faith against the urgency of loving. While it disturbs, it comforts. While it cuts deep, it heals. While it creates tension, it resolves. While it is about goodbyes, it is also about being together. In the end, Faith leaves us all wanting for more. subtly mirror the story of each one. I agree that Song Jina made it so easy to relate with the characters, to see what they see, to feel what they feel. I cried when they cried, laughed when they laughed, got angry when they got angry. Even with the element of time travel involved, the story was so believable,especially the love story. 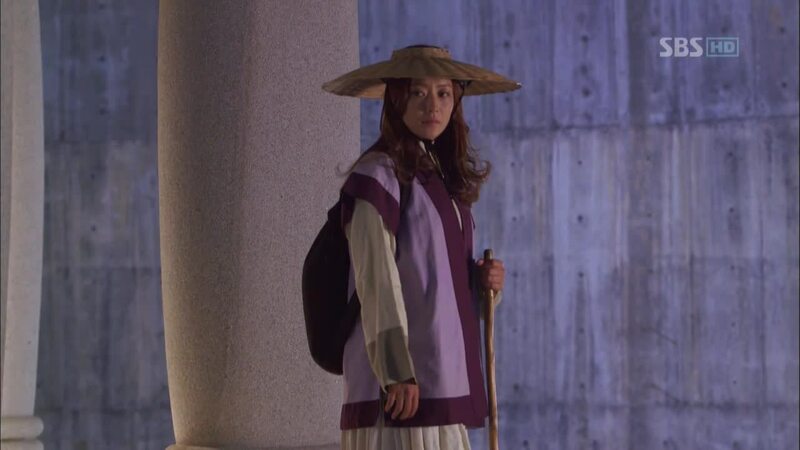 It made me feel like if I had the chance to time travel, it wouldn’t be far off from what Eun Soo experienced. It’s a fantasy that came true and made real, because of faith and love. Something that we sometimes lack in real life…and Faith, the drama, reminds us that sometimes, all we need in life is a little faith and love to bring us to the place we were meant to be, to be the person we were meant to be. 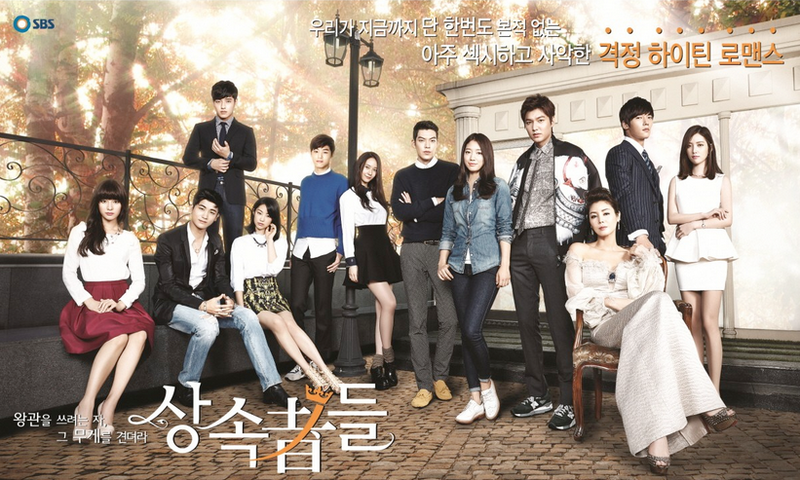 I truly love this drama to bits. Yeah, on paper time-travel is a suspension of disbelief, but oddly, I just love how this concept is organically embedded in the story. It feels real. Thanks for the review, SH. I was hesitant to read it because I was afraid you’d rip Faith to shreds! LOL! What can I say? I’m a faithful Faithful. Oh, I could never bring myself to bash this show ever! Very nice and thoughtful, SH! I especially like the quote about historical fiction. Some stories can be picked up and put in any era, and they work. That is because if the people feel real enough, we can relate to their contemporary struggles as if they are ours. Didn’t the perfect man, Boong Do, have a quote about that, too? I like that quote too, and his novels truly feel contemporary even if most of them are based in Ancient Egypt or Egypt at the turn of the 20th century. excuse my ignorance but..who is SH?? As I re-read this piece, I realized the concept of “time-travel” was not fully explained in the way I wanted it to be. -The story begins at the border between Yuan and Goryeo. It’s a fitting symbol for the protagonists – Choi Young, Gongmin, Noguk and Eun-soo – as they start their journey of self-discovery. -And maybe we should think of “time” “travel” in a literal sense, as in Time (the subject) travels (the verb). “It” travels from the past to the present; and through its journey, a few things are constant — the physical space and history of that space remain the same regardless of which era time passes through. But immaterial things attached to the physical space have changed over time – things like name, allegiance, loyalty, love, faith, etc… Basically things of human invention change. -As time travels to the present, we see the land once ruled by the Yuan Dynasty is now called The People’s Republic of China. Its neighboring peninsula once named Goryeo is now divided into two separate legal entities North Korea and South Korea. -The point is these names have changed so many times because the citizens of these lands accept these changes. They shift their allegiance and loyalty overtime. The most difficult part is seeking the reasons for this shift in loyalty and faith. -I didn’t really examine time-travel this way, until I started thinking of Son Yoo’s time-travel experience to Goguryeo, to a land that extended far beyond modern-day North Korea. -Going back to what I wrote, why do we accept or refuse these changes? The answer should come from the experienced self. Thank you for taking the time to think through the drama, and give us such a thorough review. It was refreshing to read your point of view. During the drama I was so mesmerized by CY, ES, and their relationship and the time gravel mystery that I overlooked other significant themes/storylines/interesting as afterthoughts. Your review was so meaty I actually had to read it twice to let it all sink in-once this morning, and now in the evening. 🙂 I’m not sure if you have have read Agatha Christie’s Poitor (or watched the series), but what came to mind after reading your brilliant synopsis was that your “little grey cells” were working overtime! (referencing the brain for those unfamiliar with Poirot) I am quite impressed, and admire your writing skills! P.s. Joonni, thank you so much for having SH be your guest blogger! I usually don’t like to think too much about a show; just want to be entertained and that’s it. With Faith, it’s different. Hmm, what delightful food for thought. I never considered the time-travel metaphorically. Thank you, SH, for bringing a new perspective. Thanks Joonni for letting SH give this review. This was absolute riveting conclusion of the my “Faith”!! The new meaning of living life will forever echoed these wording “Even if we live just one day, let’s live it Lovingly”. Thats what writer Song was trying to instill in the viewers eyes. Everyone had a different views of this drama, even I did at some point. The conclusion of the Drama has ended, but the viewers experiencing the live screening/recaps will forever be a remembrances thru their life time. I’m trying very hard to get over Faith, but it’s so difficult. I’ve tried watching new shows, but the feeling is not the same. I can let go of the time travel paradox, historical accuracy, and repetitive plots as long as I can relate to the characters in a story and this is what drew me to Faith. All of the characters, major and minor, were dealt with in a way that created our attachments to them. I give credit to the writer for this. Time may pass, but I will forever remember Choi Young, Eun-soo, Gongmin and Noguk and even a minor character like Dolbae or Aunt Choi because the writer allowed me to be part of their lives at one point in time. This is such a nice review SH, kudos to you..I’m glad that yours did not highlight the imperfections Faith has but instead focused on what Faith has to offer, making it the epic story it was. As you have said, Faith is really thought-provoking but at the same time the story is very relatable from the viewer’s standpoint..Like you, I also asked myself why Faith stands out from all the drama I’ve watched so far and why I love it so, and for me, it is because Faith really touched me deep in the heart as if the characters really came alive and I was with them the whole time I was watching the drama, see what they see and feel what they feel….I also don’t really care about it’s flaws (directing, editing and such) because I was too engrossed into the characters and their story to let it bother me..Aside from that, I found Faith different from any other drama because it’s not superficial or too concerned about what pleases the viewers, sponsors, ratings, etc., Faith is true to its roots and organic to the core..Writer Song Jina, and the actors – Lee Min Ho, Kim Hee Sun, Ryu Duk Hwan, Park Se-Young and all the others that made up Faith, and yes including PD Nim, really did a great job and deserve a round of applause for bringing us a drama that we would remember even after a long time.. I agree with you, I fall in love with this show because the people put a lot of efforts into it. And I appreciate that. Thank you for expressing your point of view. I love how instead of comparing and pointing out “could haves and would haves” you took extra care in writing out Faith’s true meaning, between the lines. Many have judged the drama without ever trying to understand it in depth. Most didn’t even give it a chance. I am happy I did. Thanks, Joonni for allowing SH to share with us a brilliant review. 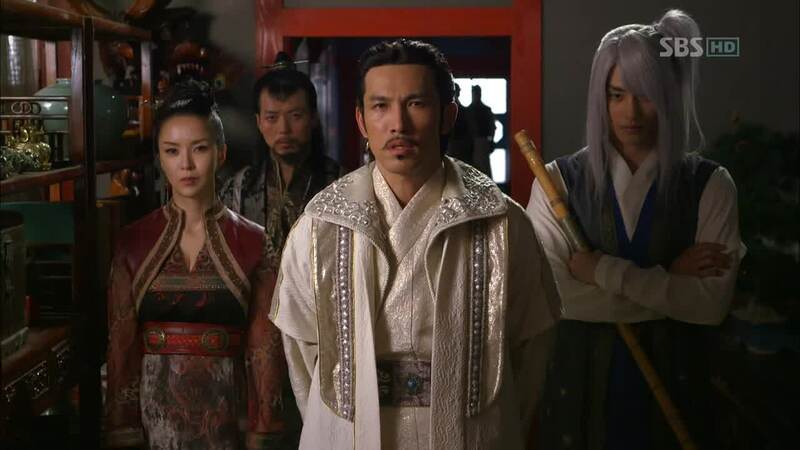 Initially, I decided to watch Faith because I am a huge fan of KHS and LMH (at that time when he was just a pretty boy to me) looked as if he would pull off a warrior role pretty ok. But I was hooked from the early seconds of the first episode. Though the time travel issue was always a nagging little reminder that our OTP was in danger of being separated at any moment, I think the wonderful relationships and interactions between the all the characters, main or not, totally overshadowed that. And that’s what I love about the drama. Despite its flaws, the cast was totally reeling me in with their solid portrayals of their given characters. And yes, I agree with SH no fancy words can really describe the relationship between Young and Eun Soo. It was just as Eun Soo simply stated ‘Sarang’. To me, Young and Eun Soo was love. 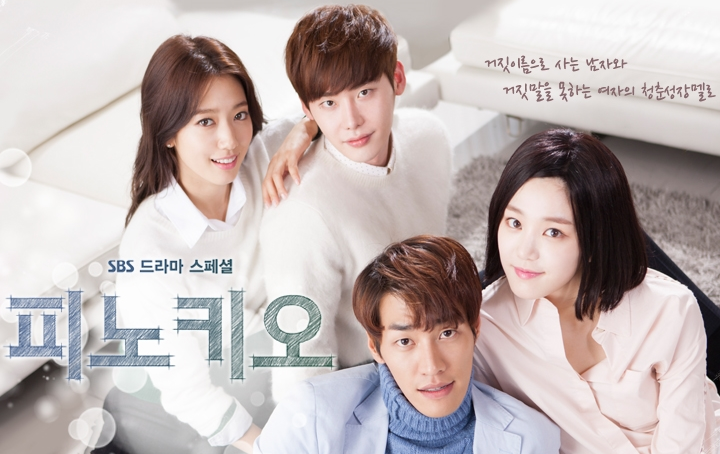 In the most organic sense of the word, and probably the most organic version you can get in a kdrama. They were so human, so real. I appreciated the fact that there was no drama love triangle or square involved – it was just all about the journey of two normal people discovering love and fostering faith in each other, time and space be damned. Thank you for sharing your thought and prespective, so delightful and such fresh air after 3 weeks without Faith. I agree Faith – a view on human relationships shaped by equality and less about class hierarchy … and fate. yes, I can feel the human essence in Faith ( hat off to writter Song, love her since sandglass ) and maybe that’s why it remains me to Les Miserables book. I wanna give you big hug for you SH and joonni too for posting SH intresting point of view. I didn’t really expand on the equality and class hierarchy comment in the post above because I didn’t want to make the piece too long. I’m glad you get the message. Totalmente de acuerdo contigo, Joonni. Me gusta la forma en que lo expresas. No creo que pueda añadir nada mas. Siempre pensé que para que cualquier relación se diera entre personas, para que esa relación fuera “autentica” y “verdadera” tendría que estar basada en el principio de “honestidad”. Reconocerse a ellos mismos y mostrarse “tal cual” al interactuar entre ellos, crea “un reconocimiento del otro” que hacen que estén abiertos a los demás desde su propia imperfección. Esta serie está plagada de “momentos de honestidad” entre todos sus personajes. Gracias, como siempre, por tus páginas. Me alegran el día. Un abrazo a todas. SH, so beautifully written. Thank you so much for taking time to reflect in such a meaningful way. Thanks SH and Joonni millions times for maintaining the love for Faith! Thank you SH a lot for your amazing review. You may not know but I’ve got hooked by your comments since reading the first one on dramabeans’ recap ep.10. Then searching for your inputs became a great joy after each episode. I, of course, have my own thoughts on Faith but because I love Faith so much that it makes me tongue-tied. My background at college was history+politic but I never could give a good writing as yours. So I appreciate your well-organized and logical inputs so much. I still can’t follow any new drama yet, but hope that I will meet your comments/posts somewhere soon. “The study says that for marketers and retailers, key opportunity for growth lies in delivering decorative items that enhance the dining experience. When it comes to food, I am very much savvy about food. Begin by setting your tables with pink tablecloths and black disposable dinnerware.